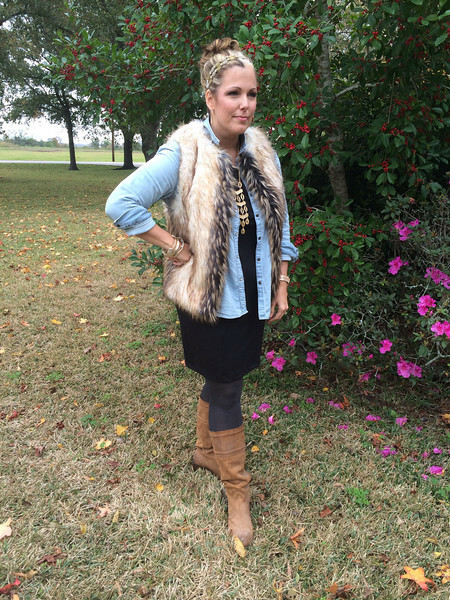 faux fur and high buns. okay, that's actually four words, but you know what i mean. when i find something i like, whether clothes or jewelry or food or whatever, i tend to get a little obsessed. as you will soon see for yourself. 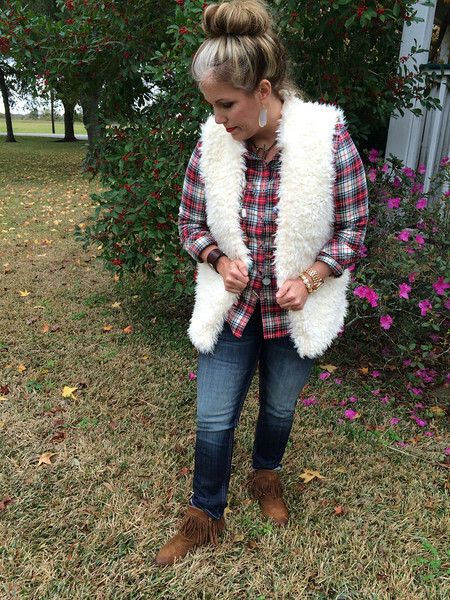 we had a bitter cold spell hit friday so i decided that was the perfect reason to try out my new faux fur vest. 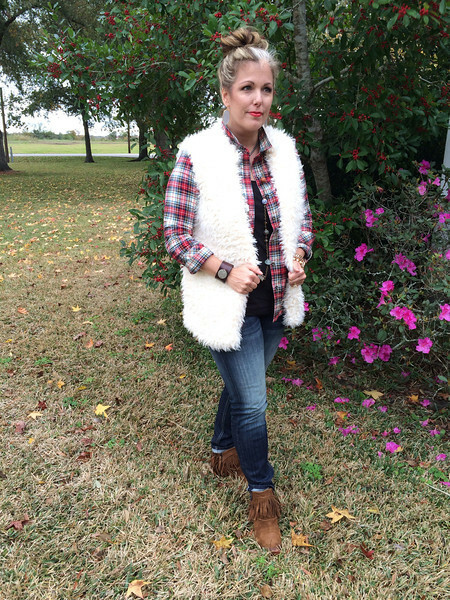 and some plaid, fringe boots and even some red lipstick, because, well, why not? saturday called for another high bun, because it's easy and i'm lazy. 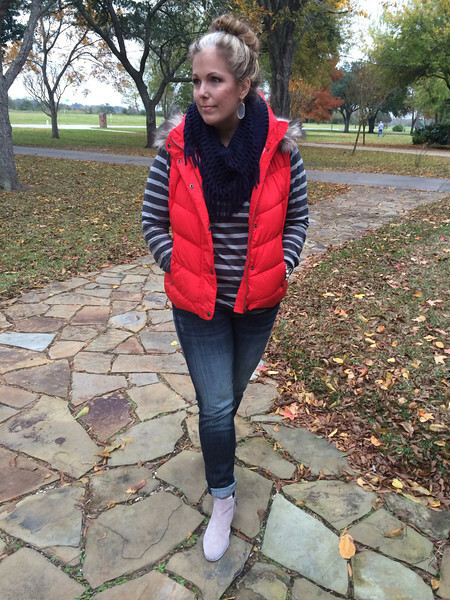 i think vests, whether fur, army, or puffer are awesome because they are an easy layer, they keep your core warm and most importantly, they're fun and versatile. after two days in a row of a high bun and some sort of vest i decided to go for three. except for sunday i added a headband. it may have been just this side of too much, but then again, why not? why am i looking down at the ground all the time? i have no idea. i guess i thought it was artsy or something. 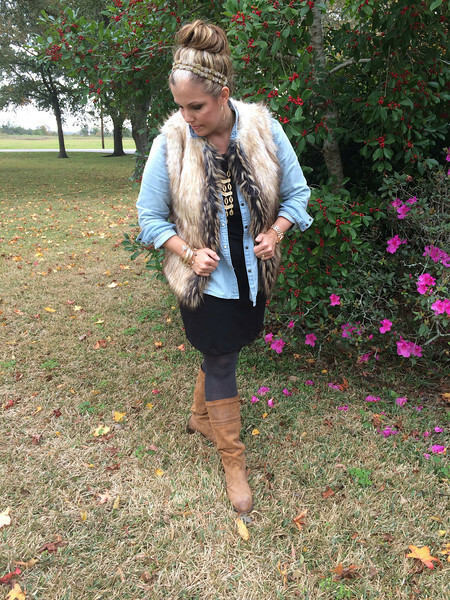 i am currently obsessed with vests, faux fur and high buns. and i find the ground highly interesting. You are so stinkin cute! I love your outfit. I love see the outfits recommended by Scheaffer and Shay on other people! I now think I need to find a puffer vest! I totally understood what you meant by high buns :) I'm just waiting for the day my hair is long enough to pull off a high bun! 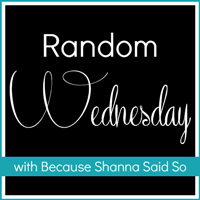 Dropping by from the Random Wednesday Linkup!